Tesla stocks tumbled this week after CEO Elon Musk appeared to smoke pot in a podcast. In addition, two top executives said Friday they were leaving the company. Musk, 47, appeared on The Joe Rogan Experience on Thursday night. Over 2 1/2 hours, Musk discussed technology, unsheathed a sword and accepted what Rogan, a stand-up comedian, described as marijuana inside of tobacco. "You probably can't because of stockholders, right?" Rogan said. "I mean it's legal, right?" Musk said before smoking the joint. They were sitting inside a studio in California, where medical and recreational marijuana use is indeed legal. News of the resignation of Tesla Chief Accounting Officer Dave Morton came Friday, according to a securities filing. Morton stated that "the level of public attention placed on the company" and "the pace within the company" caused him to reconsider his future. He added that he still believed in Tesla, saying, "I have no disagreements with Tesla's leadership or its financial reporting." Morton had been on the job for about a month, starting one day before Musk announced on Twitter that he was considering taking the electric car company private. The tweet made stocks soar. Gaby Toledano, Tesla's head of human resources, also said she was leaving the company on Friday. She had been on leave for a few months to be with her family, Tesla wrote in a blog post. The departure of top executives has prompted scrutiny. Since the start of the year, 41 executives have left, according to CNBC. Tesla did not immediately respond to NPR's request for comment. 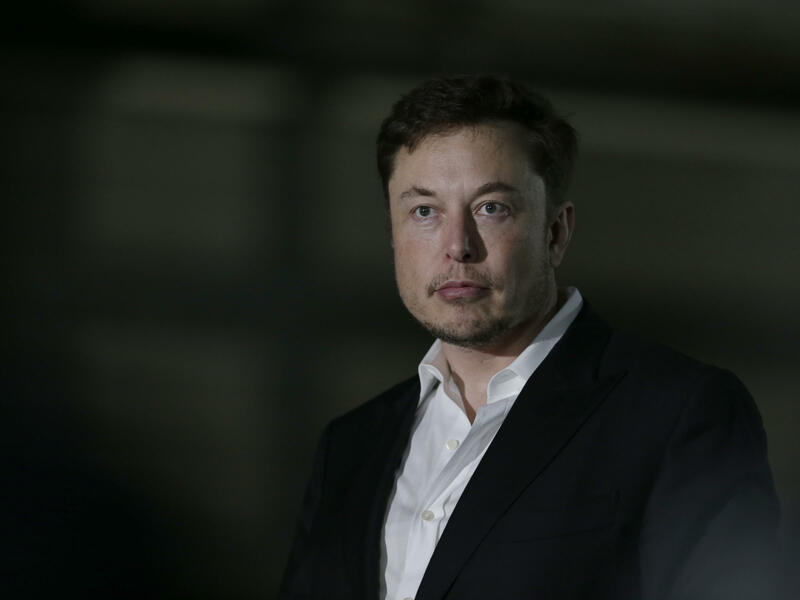 Musk offered a frank and vulnerable look into his life for The New York Times in August, describing his long hours, isolation and how he took Ambien for sleep. According to the report, board members were concerned that the drug doesn't work for him sometimes and "instead contributes to late-night Twitter sessions." As for recreational drugs, he has used them "on occasion," sources said. Other entrepreneurs have used marijuana, including the late Steve Jobs and George Zimmer, founder of Men's Wearhouse. Virgin Group founder Richard Branson reportedly encouraged parents to smoke joints with their children. Several media outlets incorrectly reported that the U.S. Air Force was reviewing Musk's security clearance after the video of him smoking was published online, because his company SpaceX provides services to the government, Reuters reported. "Do people want privacy?" Musk asked Rogan in the video. "Because they seem to put everything on the Internet, practically."